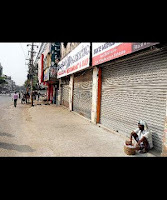 The creation of Telangana state from the state of Andhra Pradesh has created a havoc in the state of AP. Properties worth millions of rupees have been destroyed. Transport services in the states have also been severely affected. Moreover the businesses in the state have suffered due to the fact that the investors now think twice before investing in AP. The people of telangana allege that the governments in AP have not concentrated on the region. May be it is a valid point but at the same time this alone doesn’t call for a separate state. People argued that smaller states lead to better development. But this is not the case all over India. States like Jharkhand are lagging behind in almost all respects. There are about 10-12 regions asking for statehood. If all these are granted then India will eventually have about 40 states. These may come with many problems. More states means more elections and hence more money. To add to this fact; it is seen in small states that the elections often give hung verdicts. As a result the Shibu Sorens and Kodas get a chance to climb the ladder to power. These situations add more to the misery of the state rather than develop it. It also adds on the burden of the exchequer. What needs to be looked at is the fact that the existing governments and machinery function to the highest efficiency. Governments should ensure overall development. Proper study has to be made of the culture and other factors of the region concerned and then grant statehood. The agitating region should also think that damaging the public property is anyone’s but their loss. The money needed to develop the damaged infrastructure could have been utilised to make some constructive work in the region itself. The government should also see that the existing state governments are not demanding new states to run away from their mistakes. Also new states should not be opportunistic politicians ladder to power. every one is forgetting the age old saying UNITED WE STAND, DIVIDED WE FALL. feeling of being one has disappeared .people's selfish motives has taken over the feeling of belonging and togetherness.